The Wednesday, July 9th US Powerball jackpot of $124.9 million won by one ticket. This winning ticket sold in the State of Ohio. The winning numbers are 09, 25, 42, 55, 57. The Powerball is 14 with Power Play 2. In Match 5 there were three tickets that won the $1 Million prize. They were from Florida, Georgia, and NewJersey. 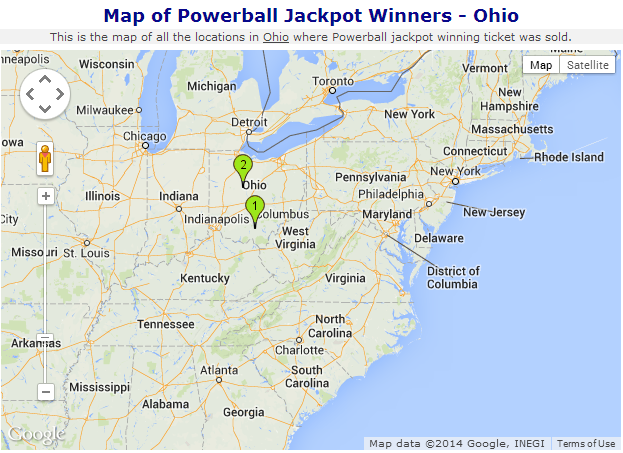 There was one ticket that added the Power Play to win $2 million. It was from the State of NewJersey. There were 547,443 tickets that won over $8.2 million in cash prizes. The jackpot will reset to $40 Million for the next draw. Powerball winning numbers for Wednesday, July 9, 2014 are 9, 25, 42, 55, 57. The Powerball number is 14.